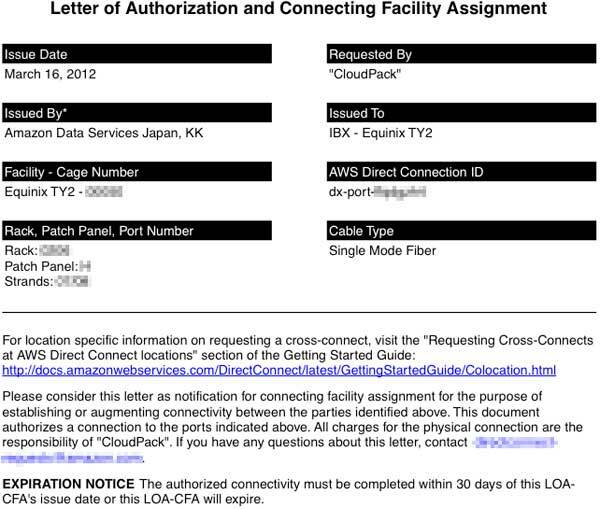 > We have reserved your 1G AWS Direct Connect port(s) in Equinix TY2. > Attached please find the LOA-CFA(s) for your cross connect request. > Here’s what you should do next. > your cross connect request. > the cross connect process. Include the AWS Ticket number(s). 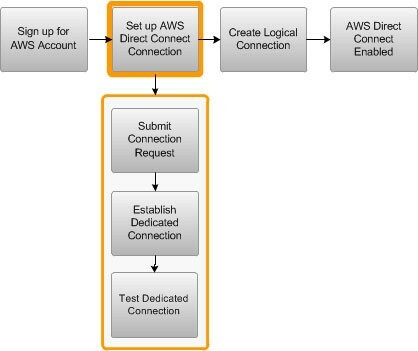 > section of the AWS Direct Connect Getting Started Guide. > Reply to this email with the colocation provider’s tracking number. > the AWS Direct Connect Getting Started Guide.